We offer THE best prices on car parking at Manchester. All parking bookings made via BCP are safe and secure. 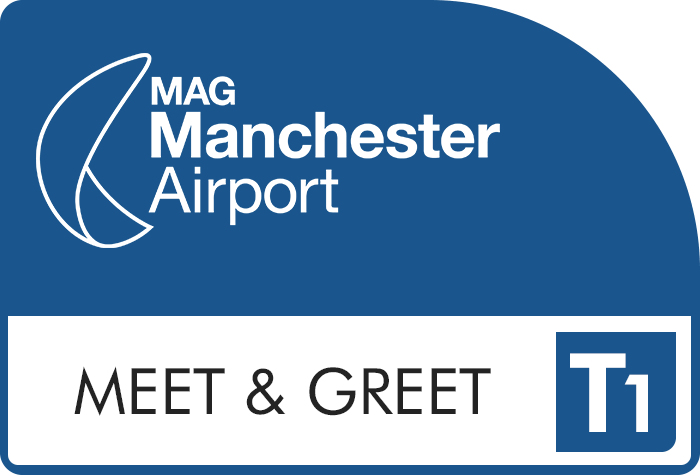 BCP recommend using a Manchester Meet and Greet parking service to get your holiday off to the best possible start. It's so easy, just drive straight to the airport terminal, drop off your car and walk to check-in. There's no need for transfers and your car will be waiting for you when you get back. When you reach the entrance to the car park (signposted Valet parking), please press the help button and quote your booking reference number and name to a member of staff. You do not need to take a ticket. Once you have parked, simply unload your luggage and enter our Valet reception to deposit your key. You will be given a receipt which you should keep safe for your return. Turn right out of arrivals. When you get to the taxi rank, cross to the other side of the road, where the multi-storey car parks are. Go straight ahead, past the multi-storey on your left, and you'll see the Meet and Greet reception. You'll just need to show your receipt at reception, and then you can collect your keys. Your car will be parked next to reception. Enter our Valet reception at Terminal 2 and present your receipt. Your key will be returned alongside details of where your car is parked in the multi storey car park. The multi storey car park is situated opposite Valet reception. This parking service is perfect for wheelchair users because there is no need to use a transfer bus. You can drive straight to the terminal so you are not restricted by any access points. The storage site has been awarded the Park Mark, a national security award accredited by the Association of Chief Police Officers. The storage site is well-lit and has modern security measures, including CCTV, perimeter fencing and regular security patrols. Leave the M56 at junction five and follow the signs for terminal 1. At the traffic lights, keep to the right. You'll see the Hilton hotel on your left. At the next roundabout, follow signs for terminal 1 arrivals. Keep in the left hand lane and the entrance to Valet Parking is signposted ahead of you. Leave the M56 at junction 5 and stay in the left-hand lane. At the first roundabout, take the second exit, signposted Terminal 2. At the next roundabout, take the second exit signposted Terminal 2 arrivals. Continue around the corner, carrying straight on past the 'No Entry' lanes and a car park. The entrance to the drop-off area is the fourth on the left-hand side.